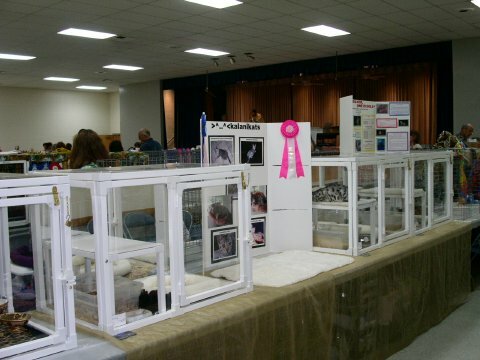 KalaniKats designs and builds beautiful show cages. Constructed from plastic material, the cages offer tubular plastic framing and plexiglass siding. The back is mirrored plexiglass and the sides and top are "crystal" clear. 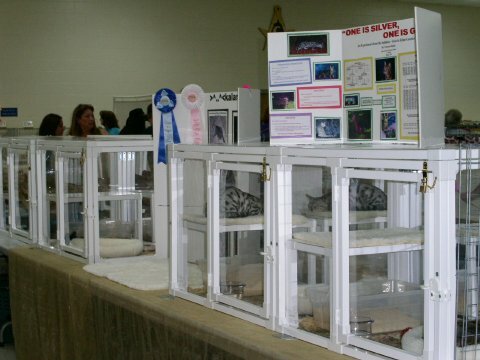 It creates a bright and open display allowing visibility of your animal. Includes a shelf and lockable safety latch. Price is $450.00 plus shipping for standard size(36" wide, 26" tall, and 22" deep) and $600.00 plus shipping for a double cage with removable divider (44" wide, 26" tall, and 22" deep). (50% deposit required at time of order.) Other custom sizes available, please inquire for pricing by email at kalanikats@aol.com or by calling (310) 529-1901. 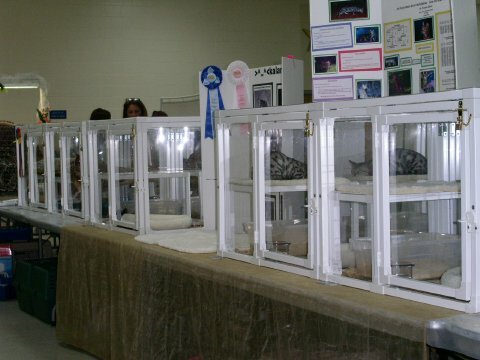 Please note: These enclosures are intended for display only. Do not leave animals unattended or enclosed for extended periods of time. Use caution when assembling. Users accepts full responsibility for loss or injury resulting from the use of this product.